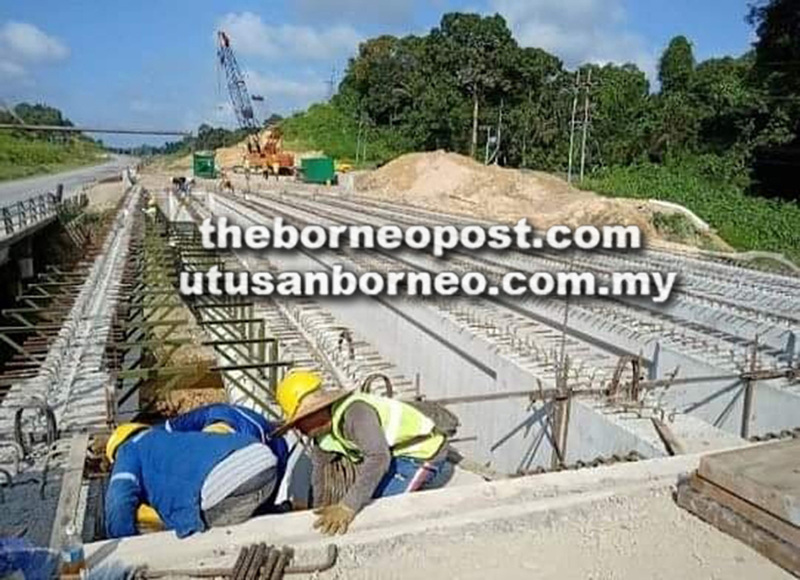 KUCHING: The project delievery partner (PDP) of Pan Borneo Highway project in Sarawak, Lebuhraya Borneo Utara (LBU) Sdn Bhd, has insisted that it delivers the project below target cost. Much had been said in recent days about the PDP model, especially about keeping costs within the agreed target capping. Mid-way into the project implementation, the LBU management said they were optimistic of achieving some RM2 billion in savings as a result of efficient design, cost and change control management. Total construction cost is currently projected at around RM15.13 billion, down from the original target cost ceiling of RM16.488 billion, said a statement from LBU received here yesterday. The total savings arising from design management and optimisation alone is around RM553 million, it added. “It is important to note that these savings are made in compliance with the design brief and with no compromise on standards or quality of highway, including design speed. A further RM1 billion of savings is expected from allocated contingency not likely to be expended in view of the cost and change control measures undertaken for the project. “Keeping a lid on construction costs is important for the PDP, whose performance is measured against meeting two Key Performance Indicators (KPIs). As a PDP, LBU is required to deliver the project within the agreed Target Cost (KPI 1) and by the agreed completion date (KPI 2). The project will be completed within a brief 5½ years construction timeline till the end of 2021, and with a post-award Target Cost of RM16.12 billion. Meanwhile, Works Minister Baru Bian is maintaining his last statement; that the Federal Cabinet had received a proposal to change the Pan Borneo Highway project PDP model to that of Turnkey Contractor model but the cabinet has not finalised its decision. This is based on a statement by the ministry’s special function officer Lynette Tan when contacted yesterday. One of the bones of contention is that cost overruns are incurred under the PDP model. In July 2018, Baru reportedly said the government was looking into ways of reducing the cost of Pan Borneo Highway, which will span 1,060km, linking Sarawak and Sabah. The toll-free highway is estimated to cost more than RM29 billion (RM16.49 billion in Sarawak and RM12.86 billion in Sabah). He has also assured that the government’s decision would not impact the PDP’s contractors if they were doing their job. LBU, that oversees the project in Sarawak, is owned by former Works Minister Dato Sri Fadillah Yusof’s brother Tan Sri Bustari Yusof. Bustari is also former treasurer-general of PBB the backbone of GPS, and a confidante of former prime minister Datuk Seri Najib Tun Razak. BHP that oversees the project in Sabah is linked to Sabah Umno and Sabah former chief minister Tan Sri Musa Aman. When contacted last week, Deputy Chief Minister Tan Sri Datuk Amar Dr James Masing said all that mattered was that the whole project would be completed within schedule. “The scraping of PDP model for the construction of Pan Borneo Highway is a federal matter. The federal government can decide what is best to build it,” said Masing who is also Minister of Infrastructure Development and Transportation. Business daily The Edge last week reported that the decision was in line with the government’s intention to stop awarding infrastructure projects through the PDP model, under which, contractors were not incentivised to be cost-efficient.